Are you experiencing any of the problems below when driving your vehicle? If you answered yes, it's best to get your vehicle serviced as soon as you can. Schedule an appointment today at the Carman Lincoln Service Center to have your vehicle fixed by our expert technicians! If you are hearing unusual noises coming from your engine, wheels or brakes, you should have it checked out by a mechanic before it gets worse. Noisey breaks could be a sign of wear, while squeaking coming from your engine could indicate a bad belt. 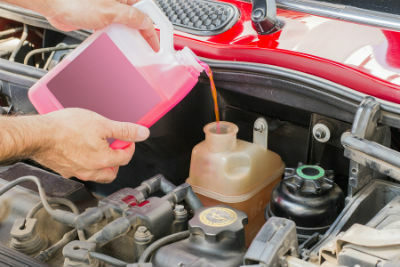 If you notice any fluids appearing under your vehicle, you could have a leak. Green fluid is usually coolant, while brownish fluids could be engine, transmission or brake fluids. If you see any of these, it's better to get this fixed sooner rather than later to avoid permanent damage. There are two major warning signs that indicate your engine needs service immediately: smoke coming from under the hood and a flashing check engine light. Smoke means your engine is overheating, while a flashing light suggests your engine is misfiring. Both can lead to permanent damage and safety concerns, so get this checked out immediately. 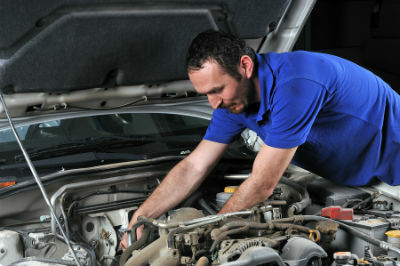 If you notice any of these signs, schedule an appointment for your vehicle as soon as possible. Putting off service can risk permanent damage to your vehicle and increase the risk of a part failure, many of which lead to accidents. Avoid the dangers of these auto issues by scheduling an appointment at our service center!